When it comes to the care of your vehicle, you want only the highest quality products and experienced experts that you can trust. is the finest mobile detailing company in North D.F.W. 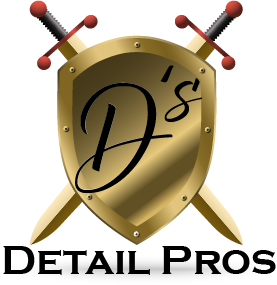 We come to your home or business and immaculately detail your Car, Truck, RV, Boat or Trailer at your convenience. No matter the season, D's Mobile Auto Detailing has your detailing needs covered. Our experienced and knowledgeable staff strives to provide honest, reliable service and our work is done with the utmost of excellence. *We are willing to travel out of our normal service area for an additional charge. Call or text today for a quote or to book an appointment!